While some red-state Democrats take on the National Rifle Association, others are treading more warily. Grant Kier, a Democrat running for Montana’s House seat, said he sees health care, not gun safety, as the dominant issue in the race. 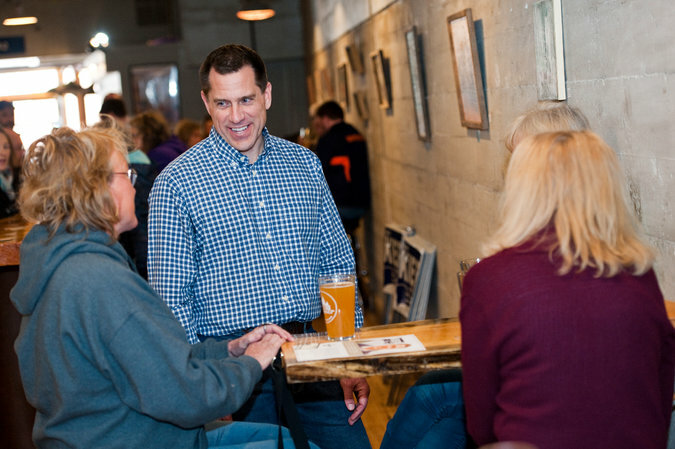 He chatted with voters on Sunday at the Ten Mile Creek Brewery in Helena. Next article Who’s Running for Paul Ryan’s House Seat in Wisconsin?